Most people spend a good portion of their years figuring out what they want to be when they grow up -- but not Robin Hazlett. She's known for almost her entire life. Robin discovered her passion for music and theater in 9th grade with the help of her own music teacher at Drexel Hill in Pennsylvania. Once she figured out she could play her favorite show tunes, Robin became enthralled with the magic of the music world, and how she could part of a production without having to actually be on stage. From there, her journey began. She then went on to study music in college, and years later, she's still surrounded by the things she loves most. Robin's been a middle music teacher at Drexel Middle School for 35 years. Robin has taught generations of families, and loves seeing her students grow and pursue their own dreams. And just like her music teacher inspired her, she has been an inspiration to tons of kids hoping to have careers in the music and theater fields. This year, Robin and her middle schoolers are putting on the one-and-only Peter Pan. The show involves a lot of a lot of costume prep, a lot of behind-the-scenes rope work (Peter Pan and Tink need to fly! ), and most importantly -- a lot of laughter. But will she be ready for the last curtain? She admits there she will most likely be tears. Robin professes her kids and her music are a huge part of who she is, and figuring out who she is without that will be an adjustment. But one thing is for sure: There's no doubt her legacy will live on at Drexel Middle School. 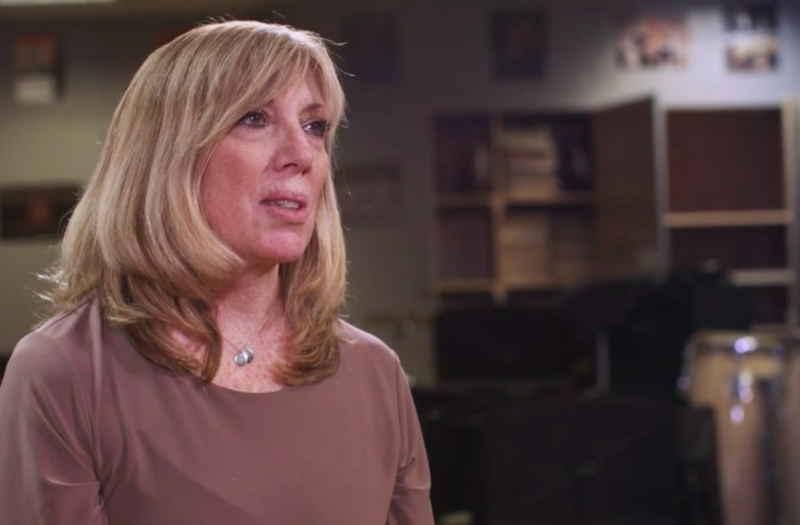 Her big piece of advice after over three decades as a music teacher? "People are jumping job to job ... trying to find out where they belong... They should do it. Find what [you] love."